Shows how to use custom renderers with Magnum. While Magnum provides the GL library as a rendering abstraction, you are not required to use it — it's possible to use a completely custom renderer while taking advantage of all other things that Magnum has, such as math library or asset management APIs. While this example works with standard Magnum installations that include the GL library, it's also possible to build a renderer-less version by toggling WITH_GL and all other options that depend on it off. See Enabling or disabling features for more information. 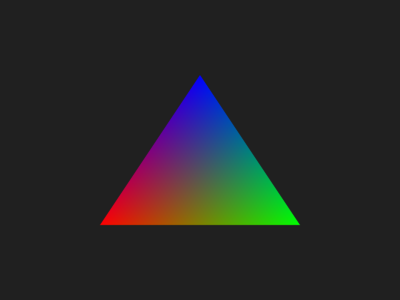 This example uses the sokol_gfx single-header C library that abstracts OpenGL (ES), D3D and Metal APIs. For simplicity only the OpenGL API together with extension loading using GLEW is used in this example. Setting this flag means the application acts only as a platform-independent window and event handler and you are responsible for creating your own context (GL, D3D, Vulkan, Metal etc.). A step even further is to not use any Platform::Application class at all (as shown in Triangle using plain GLFW, for example) and use only the Math library, Trade, MeshTools or other things. This example makes use of the sokol_gfx library, released under the zlib license (license text, choosealicense.com). Attribution is appreciated but not required. In addition, it uses the GLEW library, licensed under BSD 3-clause (license text, choosealicense.com), the Mesa 3D License (license text, choosealicense.com) and the Khronos License (license text, choosealicense.com). It requires attribution for public use.